At the weekend the clocks spring forward, meaning we will all be enjoying lighter nights and, with a bit of luck, some glorious spring sunshine, which means more time outdoors, and I’ve found the perfect solution for those spontaneous get together with friends, Funkin Cocktails all-in-one cocktail shakers. 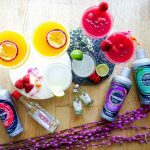 Forget searching for cocktail recipes online, buying up all the ingredients, or even searching for those bar gadgets that you bought ages ago and have only used once – these Funkin Cocktails shakers literally just need booze, ice and a good shake. You might think I’m exaggerating at how easy and quick it was to make these cocktails, I’m not, I’m seriously terrible when it comes to getting quantities right, I generally spike the punch way too much that it becomes undrinkable. 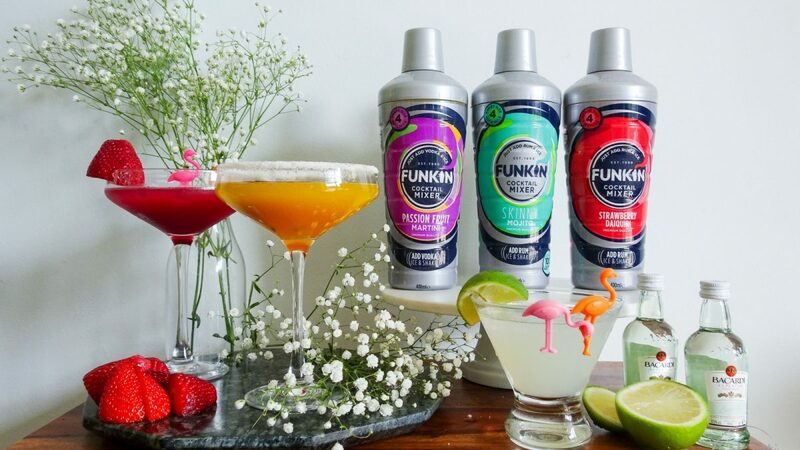 These Funkin Cocktails shakers are perfect, as not only do they have all the fruity ingredients already mixed they make it easy for you to add the spirit as you can either use the built-in measuring cap or the measure line window on the disposable cocktail shaker. 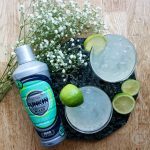 There are three Funkin Cocktails shaker flavours, from my favourite Passion Fruit Martini, seriously so good, you might not want to share it, to the super sweet Strawberry Daiquiri, and the guilt-free Skinny Mojito, which is just 100 calories per serving when made with a single measure of rum, seriously how good is that. Plus, I haven’t yet mentioned the best bit, these cute little cocktail shakers contain four servings and are only £4 each. So not only do they provide everything to make cocktails at home they are also a great price, which means you can stock up for your upcoming party. I enjoyed each flavour, but the Passion Fruit Martini had to be my favourite, and while the cocktails don’t need anything but spirits and ice added it was fun doing a sugar rim and adding a fresh passionfruit to make it look like it was from some fancy bar. This drink just made me think of summer and I can imagine my friends enjoying this come barbecue season as it so fruity. 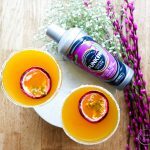 There’s something about cocktails with passion fruit, mango and lime in them that just makes me think of a beach holiday – this cocktail is literally made for soaking in the sunshine. The one my husband loved the most was the Skinny Mojito, except he did point out that I forgot the sprig of mint!!! Even I was surprised by how much I loved the Mojito as that’s not normally my cocktail of choice but maybe because it was the skinny version I just found it so refreshing, I think this will be my pick for a gathering on a school night as it wasn’t as strong as the others. Plus out of all of them we generally always have a lime in and rum, so this one will be quick and easy to shake a batch of cocktails up to enjoy. 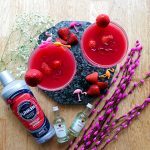 The cocktail that is perfect for those with a sweet tooth has to be the Strawberry Daiquiri, not only does it look spectacular, its taste is summer in a glass. Just add fresh strawberries, maybe a cocktail umbrella, and turn up the tunes to enjoy this party cocktail with your friends. 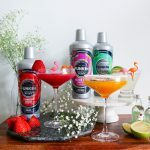 Funkin Cocktails shakers are available online at Amazon, Ocado and FunkinCocktails.co.uk, as well from Tesco stores nationwide. Are you a fan of cocktails? Which flavour of do you think you would enjoy the most? Post in collaboration with Funkin Cocktails, but as always all opinions are my own.